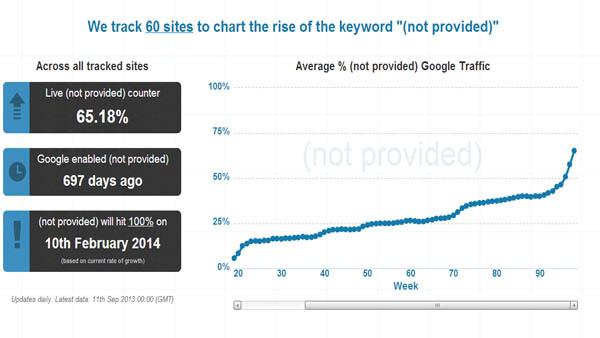 Today was a revelation in our weekly SEO Questions hangout when Alistair Lattimore quite calmly pointed out this astonishing fact : Internet Explore (IE) is redirecting to https:// instead of http:// even when you are LOGGED OUT. In a nutshell this basically means that any user that searches on IE, that visits your site will be tracked as (not provided). 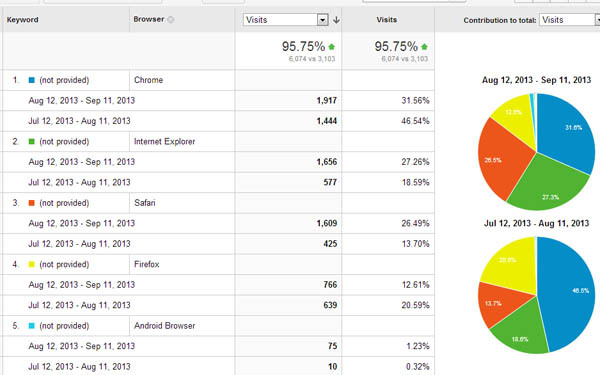 Take a look at your analytics and the increase in (not provided) for IE is phenominal. The two anomalies. I updated my setting in Chrome last week and was now getting https:// (logged out). And another who was able to open Chrome in http:// had his language setting in Japanese. Whatever the reasons, there is a significant shift to full Secure Search in Google Chrome also. Google’s attempt at dealing with (not provided) is the SEO reporting in Analytics, but you will need to have a webmaster tools account, Google then merges data. With the SEO reports in Analytics, you can easily compare Google Web Search impressions and clicks for your site to other traffic source data from Analytics, such as paid AdWords impressions and clicks. By identifying the Google Web Search queries that drive traffic to your site, you can also learn which AdWords keywords make the most sense for your business objectives. In addition, you can identify how to optimise your website for both content and search quality. Why Does Google Not Trust Business Owners?